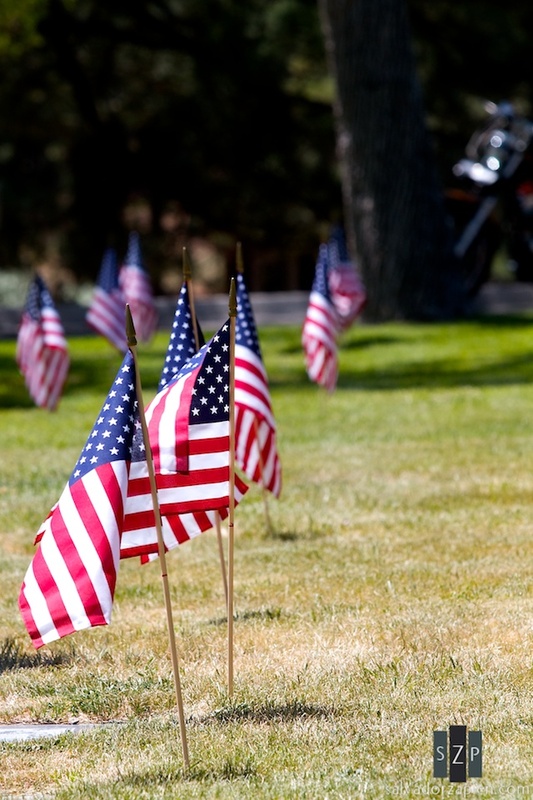 Flags mark the graves of those who served in the military. Los Alamos, NM. 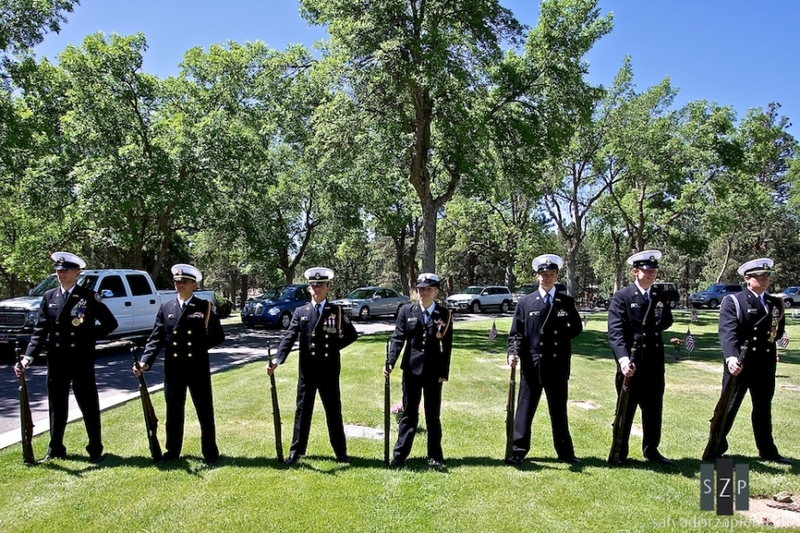 The NJROTC Rifle Squad waits for their cue to begin the Memorial Day Ceremony in Los Alamos, NM. 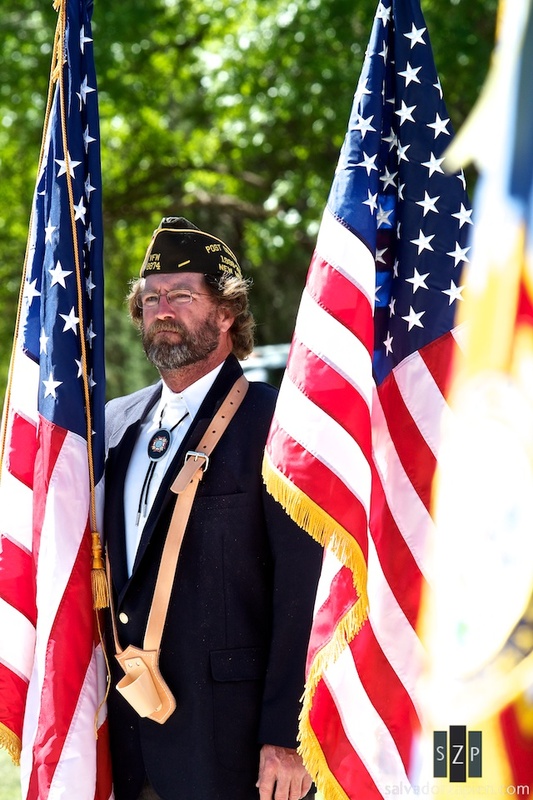 A member of the VFW Color Guard waits patiently for the start of the Memorial Day Ceremony in Los Alamos, NM. A World War II veteran shares a moment with his wife before the start of the Memorial Day Ceremony in Los Alamos, NM. A Boy Scout watches as the NJROTC color guard start the Memorial Day Ceremony in Los Alamos, NM. An officer of the Knights of Columbus places a wreath during the opening of the Memorial Day Ceremony in Los Alamos, NM. Three Cub Scouts listen to a speech about the meaning of Memorial Day. The Memorial Day Ceremony, Los Alamos, NM. Two members of the VFW put away one of their flags after the Memorial Day Ceremony in Los Alamos. Nice photos! I attended the Memorial Day ceremony and subsequent flag planting in Los Angeles with my 7-year-old Cub Scout. Despite the heat and the microphone problems, it was quite solemn and surprisingly moving. And there sure were a lot of those little flags.